This was a great find. I use it to put all my personal addresses in. The pages turn easy. I just love it. Book was just what I was looking for. Organizing my mailing lists and phone numbers. So easy to do with this book. Plan to transfer all addresses from my old book and use replacement sheets that come with it to keep it up-to-date. Very handy, practical and compact. Should never need another address book. I use it for ever changing passwords along with my contact infomation. Overall great. Have not yet decided any things not so great about it. Can replace outdated info with new inserts. This is just what I was looking for. A great product at a great price. It would be great, but I was looking for a purse model. Returning. It would be perfect for me if it was the same size as the date books I ordered, only an address and telephone book. I just cannot seem to find one that size. I currently have one but it is so old it is falling apart. I failed to read that it was a desktop book when I ordered. Oops! I had one many years ago, but was lost in a move . What I like about it is that if a friend changes their address or phone I can easily change it without making a mess of blacking it out . I also use it to keep my pass words at hand. I like it because I can simply remove an address and change it instead of making a mess of my entire book. It keeps things neat. I had one of these address book for probably 7 or 8 years. Decided to buy the exact same one to replace the one that was starting to finally fall apart. 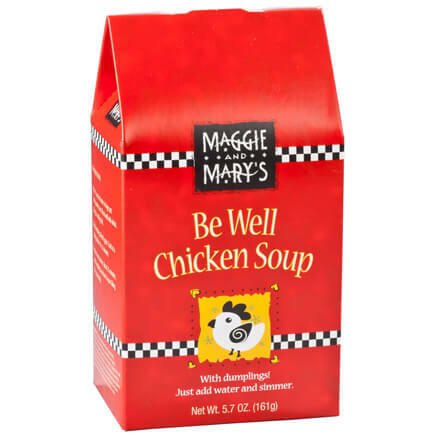 purchased for my husband for Christmas gift as it is easy to use and change addresses in. 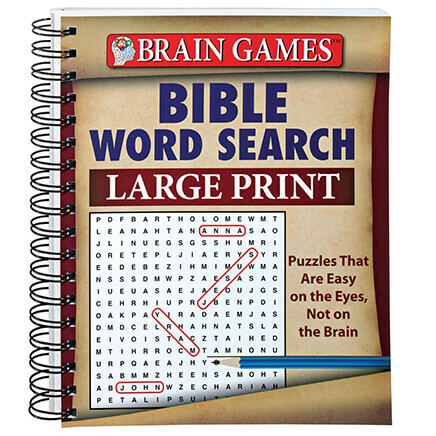 I have been looking for something to use to keep track of passwords, and this is it. I love it. 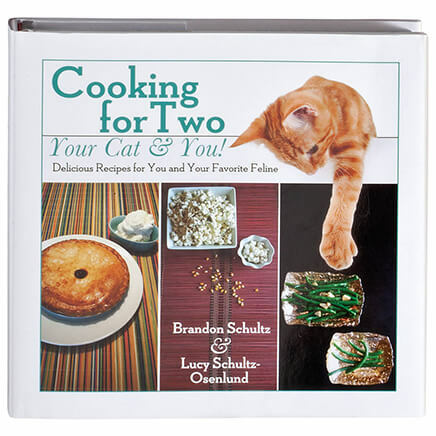 I only wish I had this book many many years ago. Everyone has moved so many times my book has no more room for another address. And now everyone has 2 phones. This book is great, they move, just rip it up and put in a new one. And you can get refills if needed. Great way to have a address book. 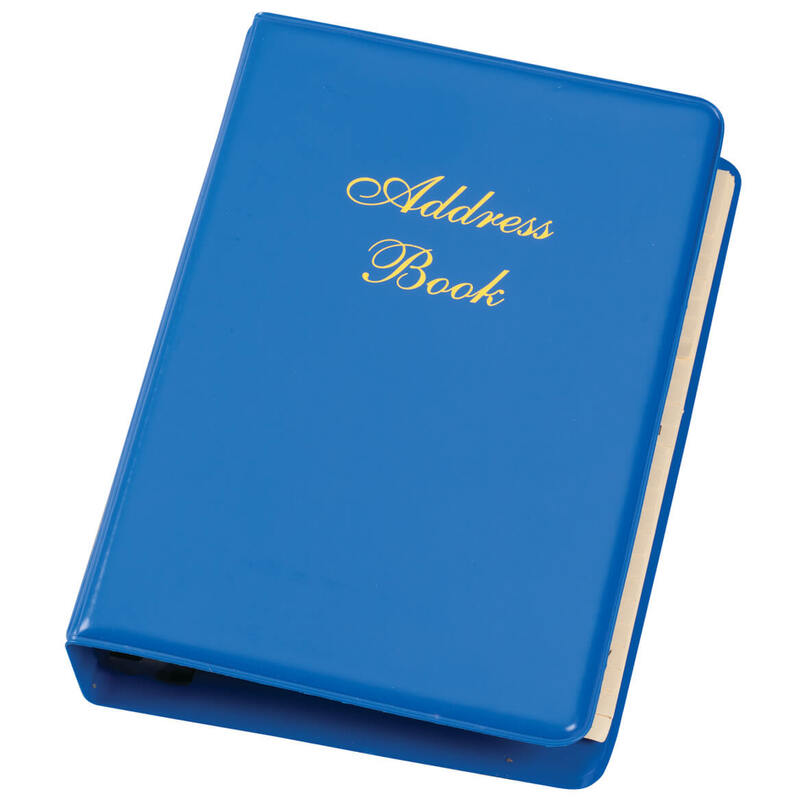 I like this address book because if you make a mistake or someone moves, it is easy to change their address. I love the fact that there are replacement pages as well. Great idea. You can add, or delete when necessary without marking or scratching out. You can also move them around, separate personal from business, etc. absolutely, whenever I order a new one. Very useful for my addresses. This was a great surprise to me. The cover is like leather. Smooth and neat. The binder clip is not plastic, it is metal. I would suspect that it will hold up a lot longer than the previous books I have purchased and had to throw out. Great job to the buyer!!! We have had this address book for over 20 years and find it invaluable for keeping current addresses and telephone numbers. As changes are necessary or additions need to be made, it is so easy to add new pages and remove old ones (refills are always available). I just gave one to our daughter where I filled in many pages with family information for her own use. They make great gifts. I would buy this again, love it. Use it everyday, best thing about it, is can make changes without making mess of it. Bought one years ago/wore it out! This is the best address book I've ever owned. 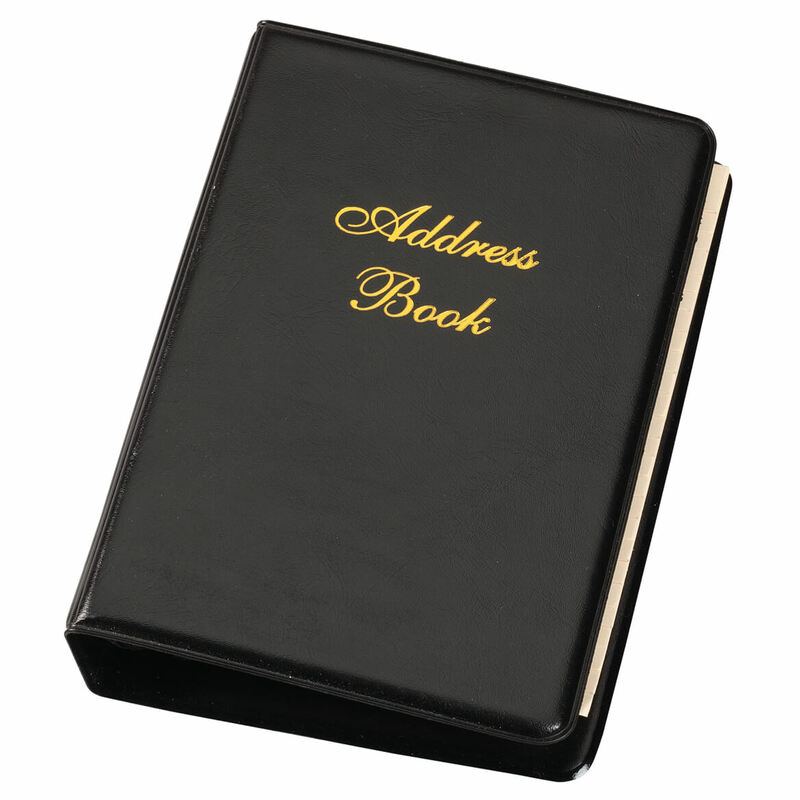 So easy to replace addresses without having to ruin a whole page in a traditional address book. Mine endured years of use, finally having to be taped together - so time to buy a new one, and also refills - trying to clean up and re-organize. This book is just the right size for my shelf, yet is easy to read and find pages. The way this book is constructed this is the last addres book that I will ever need. My second book - it's the best! 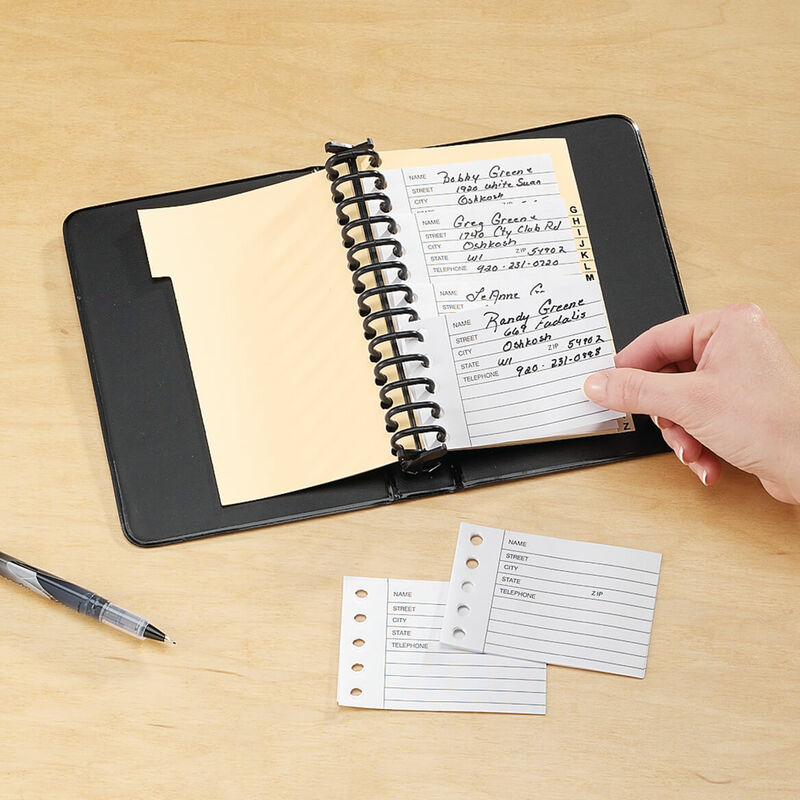 Easy to use and especially great when changing a person's address - no crossing out - just write a new page and insert it! One of the best books I own! I received this book as a gift about 35 years ago; the binder is still intact, and I have been able to change, add, and subtract listings with no problem. My book is still neat, and I'm so happy to be able to finally find the refills again. Haven't seen them in many years. Thanks, Miles Kimball, you've made me very happy. The books are for Family Reunion next year. I have covered the books w/padded materials. I have silk-screened done with the Murata family crest and the Japanese name written in Japanese callagraphy. I have designed a Japanese sword from a chop-stick and have glued it diagonal across the book. Also a tassel is attached. I must say, it's quite snappy. Easy to update someones information. This is my second one! I LOVE how you can write and then when they change address' just toss it and write new sheet!!! So perfect for an organized person like me!! I got a new one because I wanted to start FRESH!!! I use it daily. Bought the refills too for future use. Truth is: I always wanted one, saw them before, and never treated myself until now! So glad I did. Easy to use and easy to add and replace info. MY OLD ADDRESS BOOK WAS BOUND WITH DUCT TAPE FOR YEARS WHILE I WAS LOOKING FOR THE TYPE I BOUGHT-REMOVABLE TAGS FOR ADDRESSES. 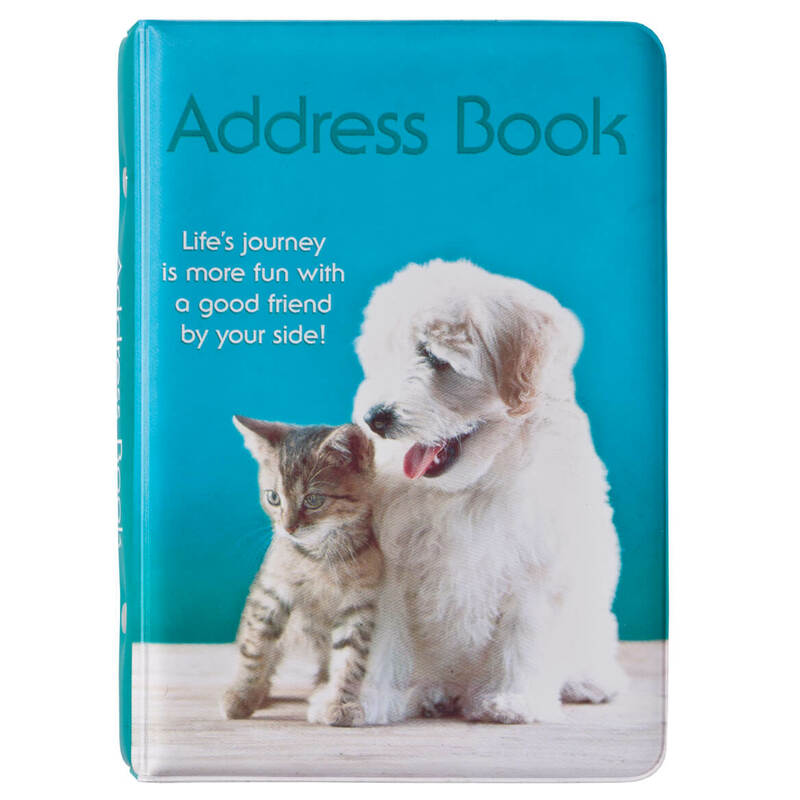 We bought one of these address books about 14 years ago and it was still perfect, but we had run out of new pages for it, and couldn't find any at the local stores. I was afraid to just buy the pages as I couldn't be totally sure it was exactly the same size and hole arrangement, so bought a new book with extra pages. It was the identical size and was shipped exactly as planned and we have no complaints at all. I have combined my address book that had many crossouts and my website shopping info all into one handy travel book. Everything stays neat and easy to update with a new page instead of a messy crossout. Just what i needed. Better binder! Friends' family history - births, deaths, etc. Will use for online addresses. I use this item mainly because it is easy to find the addresses I am looking for and changes can be made by just discarding the old one and inserting a new one. This was thicker than expected and does not fit in my daytimer; but, it is good for use in the home office. I looked all over for this particular type of address book. I wanted to be able to make changes in names and addresses without making it look messy by crossing out names etc. The only problems was I had so many names and addresses that it was very hard to get them all in the rings by time I completed the book. Easy to change addresses when people keep moving. One of the first ones I had came apart and it was hard to put back together again. But I liked it so well I did order another one for myself and one for my daughter. I would and have recomended this item to anyone! address's for mailing Xmas cards & birthday cards. I had one along time ago and lost it. I'm gade to have one again. I like it because you caan put the informationin like regular or overlap in a cascade down for easy find on one opening. Also if youo don't need it anymore just through it away instead of ereaasing. The new addition to an address book, is an area to add email and cell info. this is a plus. The idea you can add and pull out information that is no longer useful is great. Every year I have to rewrite my address book. With the refills I will not run out of pages. But the book is much smaller than I anticipated and will be harder for me to write in. Might run out of space with a long name address or email. Like the concept. 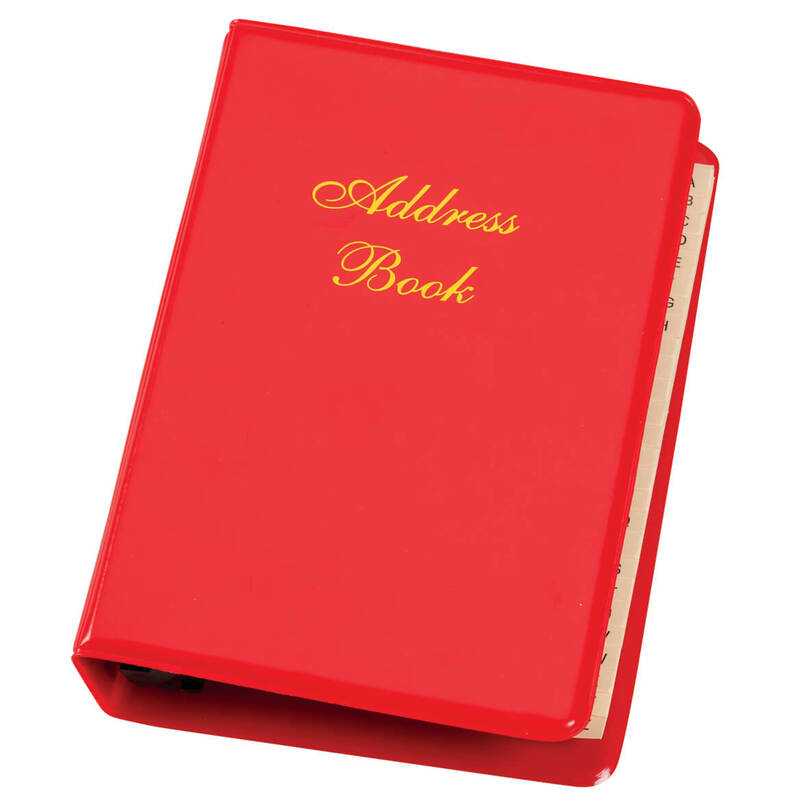 Liked the idea of an official address book to send birthday cards, get well & Christmas cards. I have this type of directory in my office. When my wife needed a new directory she wanted the same refillable style. The refills makes this a forever directory. Got tried of redoing phone numbers. This item is great. A real hard to find item. I only wish it was leather covered..
To up date my address Book. I love to be able to replace one piece of paper when someone's information changes rather than having to recopy a whole page. Because I need a new address book. My old one is probably 15 years old, and is falling apart. This looks sturdy enough. I hope it lasts as long as my old one. Now all my addresses and phone numbers will be kept in one place instead of Roldex cards. Can't wait to get them all transferred. Work sales easy to track leads and customers. Stack in where you can see more than one customer at a time, easily removed and archived for later use. I have had one of these before. It was so nice taking out old addresses versus address books where you scratch out the old addresses. My dad has one and has had it for years. Now that I have a family of my own, I figured this was the best address book to have! We send out cards a lot and I always forget where I put someone's address or it gets lost. Not anymore! I plan on using this for all my I.D. 's and Passwords. to get the refills to go with book. Now I have a book for all of my passwords, address, and other notes I need for quick reference. Easy to change information. I chose this because you can change the information for one without having to throw away a whole page that has several other addresses on it. Easy way to change addresses. My family members are constantly moving and I have to update their contacts. So needless to say, I am always scratching out info. I have one like this that's about 45 years old. It's definitely time for a new one, but these are hard to find. When friends and family move, it's nice to not have to scratch out or replace a whole page, you just replace the individual sheet. I would prefer leather, but this is okay for now. I like having the ability to replace a page without disrupting the organization. Price and product all both good. Mine was wearing out - needed a new one for our new home. Have one and want a second one for husband to use and third one for Uncle. Easy to update and add new items. No comment yet. Haven't even really begun with this project. Love this style of Address book. I chose this to keep track of all my various account codes, passwords, etc. Easy to change and take out or insert pages. To store email and password info. Need a new address book. Hopefully it is as easy to change as it looks. Need a address book that I can change the address and have marked out address all over it. Can you purchase more index tabs? BEST ANSWER: Thank you for your question. Unfortunately no. We hope this information will be of help to you. Are the address cards lined on both sides ?? pertaining to the addressees, such as their family or birthdates,etc. No they are not, but there is ample space for additional information. 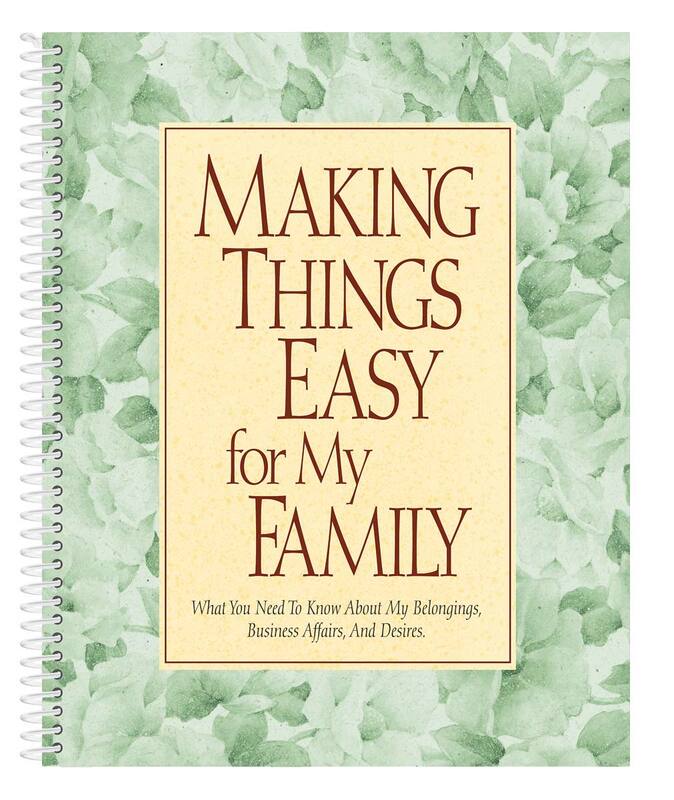 Love this book as my children and grandchildren move and it is easy to keep it up to date and not looking messy. Thank you for your question. The lines are only printed on one side of the sheets. We hope this information will be of help to you. No. but the card stock is quite sturdy and you can write on the back without the ink showing through. The lines are only on the front side. The back side is blank. NO just on one side but you can get refills. pockets on front and back cover? BEST ANSWER: No it does not. I also found that once I got all of our addresses we have for friends and family on the individual pages, that it was hard to close the address book. thus it also was not easy to get the various entries to move on the "rings" in the binder. I wouldn't recommend this address book, unless you have just a few addresses to keep! Thank you for your question. Unfortunately it does not include pockets. We hope this information will be of help to you. How many cards does the book hold comfortably? BEST ANSWER: I put in all the cards that came with the book. There is no problem with it holding all of them. This book is easy to update and change addresses when necessary. So glad that I made the purchase. Thank you for your question. The address book will fit 100 pages. We hope this information will be of help to you. I had way too many addresses (big family & friends), so finally gave my address book away!! Sorry!! Can I purchase extra refill address sheets? BEST ANSWER: Thank you for your question. You are able to order refill pages. The item number for the extra pages are 302638. We hope this information will be of help to you. How large is the ring of the binder? BEST ANSWER: Thank you for your question. These rings measure 1 1/8" x 1/2". We hope this information will be of help to you. BEST ANSWER: Thank you for your question. If written in pencil, you will be able to erase. We hope this information will be of help to you. can I get refills for address book? BEST ANSWER: Thank you for your question. Yes, we do offer refills for this item. We have included below a link to the refill pages on our website. We hope this information will be of help to you. How many rings does the binder have?